February 23, 2014 February 23, 2014 Guy Selga Jr.
Walt Disney World’s refillable mug program has always been a strange beast to me. At the start of my vacation I always find myself standing in the resort food court in front of the refillable mugs asking, “Will I drink almost $20 worth of soda, only at my resort?” In 2013 Disney made this situation even more complicated with its new “Rapid Fill” system. What is Disney’s Rapid Fill? The Rapid Fill refillable mugs have replaced the old refillable mugs at all Walt Disney World resort hotels. Disney advertises the new program as more flexible, which is true, but it’s still expensive. The mugs are now equipped with an RFID chip. This chip tells the soda machine how many days you purchased, and the machine features a screen that displays information about when you are next able to refill your mug. It still has unlimited refills, right? Yes, but you will have to wait between refills. Thankfully that time is only a couple of minutes. 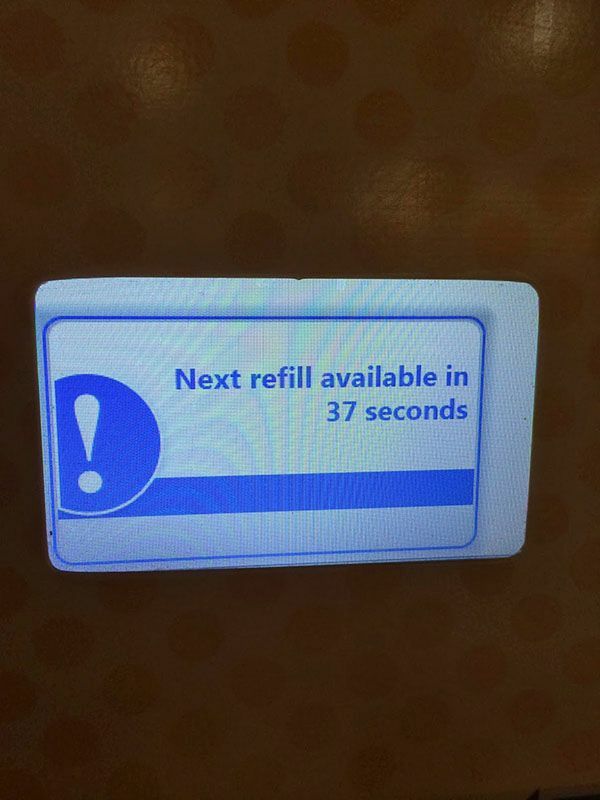 A screen on the soda fountain will show you the exact amount of time until you can fill up your mug again. Some people have a problem with this, but I can’t imagine drinking 16 ounces of soda in less than 2 minutes. I do see this being a problem if you fill up and then find out the soda was flat, or if some other malfunction has occurred. Your option at that point is to wait the couple of minutes or find a Cast Member to help you out. Which resorts sell Rapid Fill mugs? Rapid Fill mugs are sold at all Walt Disney World resort quick service locations. The mugs are not sold at any any of the theme parks, nor can they be refilled in the parks. How much does a Rapid Fill mug cost? Unlike the previous refillable mugs that had a flat rate cost for no matter how long you stayed, the new Rapid Fill mugs have variable pricing depending on how many days your vacation lasts. For comparison, the previous refillable mugs were priced at a flat rate of $15.49. So if your stay is only 1 or 2 days then, yes, technically you will be “saving” money compared to the old mugs. That is if you consider spending $9 on soda a savings. A regular fountain soda served in a paper cup is currently priced $2.99 at WDW resorts. A situation where I can see the Rapid Fill mug being worthwhile is if you plan to hang around your resort all day and drink multiple sodas. But then again, you’ll be wasting money if you only drink one or two cups of soda. The length of stay where you can break even on the price of the mug is six days. 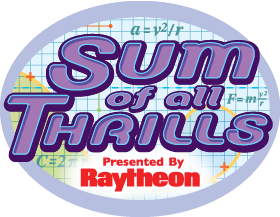 I sent this complicated equation over to the TouringPlans.com Math Department, and they told me at six days the cost of the breaks down to $3 a day, which is the cost of a regular paper soda cup. But to even make that work, you have to assume you’ll be drinking soda/coffee/hot chocolate at your resort at least once a day. What else should I know about Rapid Fill? You should know that each Rapid Fill day ends at 11:59 PM. So if you purchase one day and you first fill up your mug at 2:30 PM, you do not have until 2:30 PM the next day to keep getting refills. You only have until 11:59 PM of the day of purchase, and then the soda fountain will block any further refills (unless you purchase more days at a food court cash register). What do you think about Disney’s new Rapid Fill program? Will this change the way you drink soda at Walt Disney World? 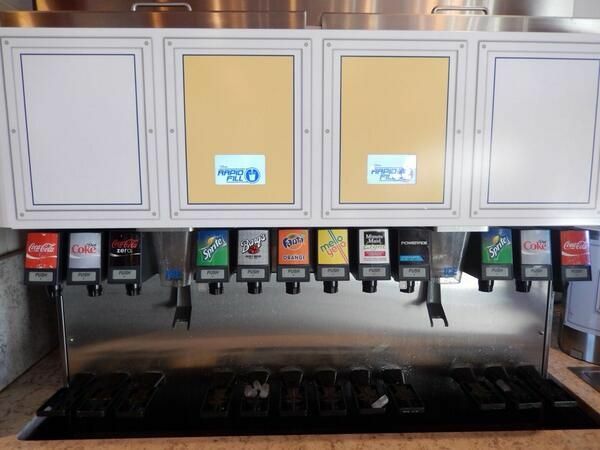 Do you think Disney has made the process of getting soda too complicated? Are you afraid a mug with a computer chip inside will become self-aware and try to take down its human overlords? Leave a comment in the section below with your thoughts. One thing we noticed was that during our stay the screen would say we had refills until the end of the month (two weeks after our stay ended). However on the morning of checkout the cups wouldn’t work. Luckily the cast members were really easy going about letting us get our caffeine fix before heading to the parks. I don’t know if there was a glitch or if they just took pity on us. This whole system seems a bit overtly greedy, even for WDW. At least with MyMagic+ there is the pretense that it’s about more people getting a chance to experience more attractions, instead of just another method to try to get more people to stay on property. I had the exact problem you mentioned of getting flat Coke my first time using the new mugs. It’s not the worst problem in the world, but it was a bit annoying. I’m not one of those people who is threatening never to return to WDW because of the mugs; I just won’t buy one. But, I will admit, the whole thing does leave a bad taste in my mouth, and not just from the flat Coke. You’re right about it not being a big deal but it’s an annoyance on a very expensive vacation, and I think to some visitors the minor annoyances like that can add up. In October 2013 we paid for length of stay mugs and not only did they work for the seven days we stayed at Port Orleans Riverside but they continued to work when we move over to the Animal Kingdom Lodge for an additional three days in the food court there. It was nice to see that they would work at, I assume, any resort over the length of a continuous set of days and not just the resort it was purchased at. Yes, this is supposedly one of the added ‘benefits’ of the Rapid Fill mugs; you are no longer limited to using them at your home resort. Clearly this is not perceived by guests as much of a benefit as we almost never hear any reference to this, despite the fact that Disney posted it with the initial promotional bumf about the mugs. It is great, I guess, if you are taking a day or part day to resort hop, but I really can’t be doing with carrying mugs around just in case; I’d rather just pay $3 for a large soda when I find myself at a different resort feeling thirsty. There were many people paying zero for drinks by using old mugs, so Disney had to do something. This way everyone pays their own way. I think it’s crazy. There’s no way they are losing money on fountain drinks of all things. Air and syrup….not worth the price at all! Plus the regular cups of soda are already overpriced in my opinion. This worked great for us. We were there 9 days and the mugs were used for breakfast and dinners. We were there in September so the parks closed earlier buy I could put coffee in my mug first thing, the get a soda or whatever during breakfast. And for my son, who drank a lot of hot chocolate and sprite, this was nice too. We usually topped off our mugs on the way out and then refilled on our way back in from the parks. Then, dinner or pool time was unlimited drinks (to include water which can be up to 3$ a bottle!!) or while we were at the arcade. This was especially helpful for my 5 year old who drinks water like a camel. Granted, the time of year we went meant we spent some extra time around the resort (due to early closings) and we planned a resort day since we had sooooo much time. Anyway, like with everything else, it is different for every family but we liked it. Although the water “tap” is on the soda machines, use of it is not controlled by the Rapid Fill technology, so you do not need to pay for a fountain beverage in order to get water. If you ask, Disney will provide a cup for water at no charge. Good to know about the water thing. We actually drank quite a lot of things from the soda machines so again, we liked having the mugs. We got it as part of the dining plan so it was no big deal. I would really think it was a great deal if they worked in the parks too!! When we go to Disney, money is not an issue. We go for 100% convenience and the mugs are easy. And I’m sorry, but I will never fault any company for trying to prevent theft. If people are stealing drinks by reusing old mugs, that is theft. If you don’t agree with the pricing, you are free not to partake. The nice thing about Disney is that they do make it relatively easy to do other things (order in, bring your own, use the fridge) and stealing is always wrong. I think the only reason to really be sure to buy the mug is if you actually like the mug itself. Lots of families use these types of mugs at the pool, beach, etc during the rest of the year. Hoping to save money on sodas is fruitless in this situation. Exactly. The only way to save money is by not drinking any soda. My kids have always liked to mix lemonade and powerade in their cups. Does anyone know if that if that will still be possible with the new cups without the wait? Apparently you can, though we have yet to try it. I have a daughter who treats the dispensers like Club Cool samples and wants a mouthful of each flavor, so this was the first thing she asked me. I have seen a couple of videos on youtube (going back some months now) where guests filled their mugs part-way and then topped up immediately with a different soda. It seems that the dispenser reads a standard measure rather than the actual choice of soda. Not sure if I’ve explained that to make any sense. Yes, this is still possible. The dispenser keeps track of how much pop has been dispensed. Our experience was that if you have ice in the cup then you can fill it up, take a drink, and then top it up a bit before the dispenser cuts you off. If you want to mix 2 drinks it works fine. We have always spent too much money at the vending machines due to my husband’s obsessive pop drinking. We starting buying the refillable mugs before we even started doing the dining plan because it saved us tons of money that would’ve otherwise been sucked up in the vending machines. We always fill up all our cups once in the morning and at least once sometimes twice in the evenings. And I totally agree with Disney putting the chips in them. After reading so many things about people bringing old cups back to reuse them and dumping their pop into other containers, I think it’s long overdue. You’re right. I’m surprised it took this long for Disney to change something. Does anyone know if you get one of these mugs on the dining plan? Yes, all Disney Dining Plans include one refillable mug per person. Is it activated for the length of stay or do you have to pay the fee even though the mug is included in the dining plan? Normally, it doesn’t bother me when Disney tries to enforce a certain policy (biometric fingerprint scanners, etc…) but this is just plain annoying. We stayed at Caribbean Beach last September and had to deal with this, and had numerous problems – mugs filling up only half-way, refills not working at all – and my kids like to mix-and-match drink flavors, which is just about impossible without waiting… so we stand around and wait for the next refill to become available, thereby creating yet another unneeded bottleneck around the drink machines. Is Disney convinced that the opportunity benefit that they will gain from this system is greater to or equal to the opportunity cost? Did they really feel that they were losing a substantial portion of revenue to carbonated beverage theft? Interesting. Thanks for sharing your experiences. As for your last point I was wondering the same thing. 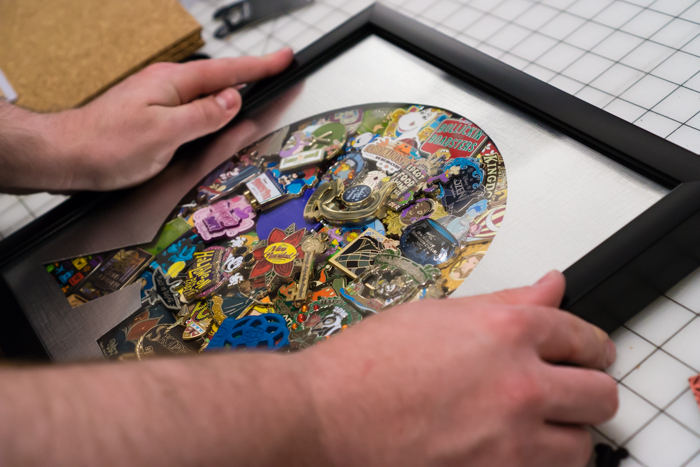 Was the mug “problem” big enough that Disney had to spend a pile of money to fix it? I have more mugs than I need and would love the option to bring my rfid chip mug with me on my next trip and have it reset. I’d be happy to pay a lower price for “beverage only” if they could/would reset the chip. When I first heard about this I was hoping that would be the case but as of right now there is no discount for bringing back a mug. They didn’t have this technology when we were there in March 2013 and for the first time we bought 3 mugs (for the kids). I drink a lot of water so just used the machine to fill my water bottle (with water). We did see lots of people refilling their old mugs, paper cups or gatorade bottles since no one monitored it. If all cups need a chip to activate for the pop how do the paper cups work? Yep, the regular size paper soda cups have a chip that allows 4 refills in a one hour period. I was at Art of Animation last week and we bought a Rapid Fill cup. I paid for a two day stay, but on the first fill it showed that the cup would be good for 14 days. We also found out after the fact that 2 of the soda machines in Landscapes of Flavor had the Rapid Fill feature turned off and any cup could trigger the soda. Taking this in another direction, My guess is that the next iteration of this program will require a “GATTACA” style DNA test. After you are positively identified, the drink of your choice is injected directly into your bloodstream. This is all worth it so that people don’t steal coffee in the morning. When the computers do rise it will be the ones you least expect. Like the mugs!!! We did mugs years ago when the program was first introduced. The prices were not that bad although it was restricted to your resort. Nowadays we either have a rental car and drop by the Crossroads for groceries or have them dropped off via Garden Grocer with plenty of pops and a cooler. Grocery delivery or visiting a market is the best way to go if you want to save on food. And luckily the prices are still pretty good even after the delivery fee. Maybe I missed it-is coffee and hot chocolate included in the rapid fill? Is the cup bigger, any idea of the oz. of liquid the cup holds and how many oz. are considered a “fill”? The refillable mug is 16 ounces and the machine will know when you have filled it up. You can fill them with coffee/hot chocolate but those machines (as of right now) are not part of Rapid Fill, so you can fill the mug up with those drinks as often as you want. Maybe it’s because I was raised by hippy tree-huggers, but I carry a (non-Disney) reusable mug around with me in my life away from disney so I can stop off at my corner coffee shop without killing any more trees than necessary. Is that kind of thing unheard of at disney? Sounds like the reusable mugs @ Disney aren’t designed for even the pretense of saving a paper cup? Why put RFID chips in the cups when the MagicBands have them and the refills could be linked to the MagicBands instead? This seems redundant, overly complicated and ecologically unfriendly to me. I always see dads with 4-5 mugs in hand going to the dining hall to fill up for the family. It’s not always that the owner of the mug is present to fill the mug especially if it’s a kid. I’ve bought a mug out of pocket on my last 2 trips. It’s worth it for me. I got coffee every morning while picking up a bagel or pastry to eat while waiting for the bus. At night, when we got home from the parks, we’d stop in, get a soda refill and eat a snack. Staying a Beach Club, they have one by the pool, and it was nice to get a drink there if you get thirsty while swimming in the afternoon. What is the current price of coffee at WDW? If you are a morning coffee drinker and only drink water during the day, is the Rapid Fill mug at all worth the expense? I like the refillable mugs. We are only soda drinkers when we’re in Disney, the heat does it to us. They should just increase the room rates by $20 and include a mug for everyone to use during their stay. Disney can easily make up the loss in soda sales in the parks. Plus how many people go to Disney to stay at their resort all week and hang out by the soda dispensor? It will make you think you’re getting something for free. It’s kind of a pain in my opinion. We got them with our Dining Plan back in October 2013 and we could see a few fellow guests place their mug, select a soda and not get anything at all! Since it’s timed, they now had to wait like 2-3 minutes to get another soda. The ice in these machines is a total JOKE! At least it was at the Port Orleans Riverside Foodcourt. The machines, if they even had any ice, would dispense 3-4 tiny ice cubes…ANNOYING! Personally I would opt out of the mugs. I realize we’re probably paying for them in our dining plan (insert eye-roll here)…but we can certainly live without soda. We had the old “forever” mugs (don’t judge me please!) that we used for years. We spend on average $3000 or each year on trips to Disney World I don’t think the few pennies per soda that we cost Disney over the year made a big dent in their profit margin I’ll just bring those with me from now on and buy 2 liter bottles of soda at Publix to fill them! You can buy a lot of soda at the grocery store for what Disney is now charging for a length of stay soda pass. Seriously, we will probably buy a mug in the future so my soda addicted son can have the “free” refills, but certainly not one for each family member. Typical Disney. Trying to squeeze every last penny from you. Going to WDW in a few weeks. Still deciding about hotels and if on-property, dining plan or no, refill mugs or no… But for this string, my question is, what do you folks do with the mugs during the day?? I don’t see a carabiner to clip them to a backpack. Do you empty them and put them in your backpack?? Just wondering if the hassle is worth it. Advise?? I am sort of excited to try this when we go in August. I have never done dining plan or gotten a resort mug separately on our earlier trips. We are doing dining plan on our short trip this year to see if we like it. We will get a mug each, but my question is on the timing. If you are paying by day, I understand that days start and end at midnight, not 24 hours from when you begin. But if you are on a 3 day dining plan (3 nights at the hotel), that really has parts of four days. With our meal credits, they can be used anytime from check-in to check-out, is that also true of our mugs? Otherwise, if we use them on the day we check in, we will be out of luck on the day we leave… HELP? I agree that the RFID seems a bit over the top but I am OK with it and think it is worth it for me. I get two coffees in the morning, then at least two lemonade or something in the afternoon/evening. I also feel it is unfortunate that some people spoiled it for the rest of us by bringing their old mugs from previous trips. And they are the ones complaining about the price/value. It’s just wrong. I don’t think Disney made this change to “stick-it” to the people who abuse the system. It’s a business, that’s all.